Confined was an international mail art call. We invited artists to send us their works that deal with topics of confinement and restriction. The works are literally confined, as they have to fit into a box of cigarettes. 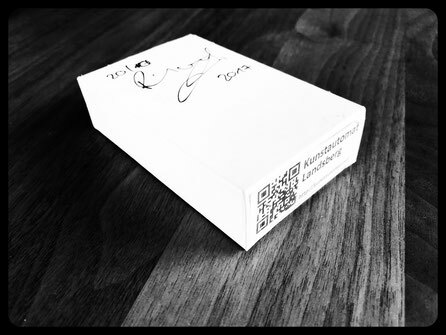 A random selection of the incoming mail art will be put into the "Kunstautomat". 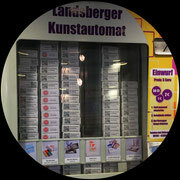 This is a cigarette vending machine, converted for artworks. It is installed in a public space in the city of Landsberg am Lech, Germany. All works are also documented in our online gallery.